21 February 2017 - Ministry of International Trade and Industry (MITI) received a study delegation visit from Lao PDR headed by its Vice Minister of Planning and Investment, Hon. Dr. Khamlien Pholsena. The delegation comprised of 21 officers representing several Lao PDR ministries and agencies wishing to learn more on SME development in Malaysia. YBhg. Datuk Isham Ishak, Deputy Secretary (Trade), MITI received the delegation and was very pleased with the friendly and very open discussions on possible ways to strengthen SME sector in their home country. He expressed hope that the study visit would strengthen the good bilateral economic relations shared between the two countries In addition, he also explained that the SME sector in Malaysia did not achieve its successes overnight. A strong SME ecosystem is the result of strong cooperation and continuous feedback from stakeholders. 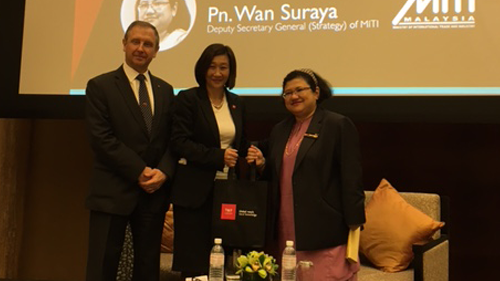 Pn Wan Suraya, Deputy Secretary General (Strategy and Monitoring), MITI presented MITI’s Strategy and Efforts Linking to Budget 2017 to members of the British-Malaysia Chambers of Commerce (BMCC) on 11 November 2017 in Kuala Lumpur. 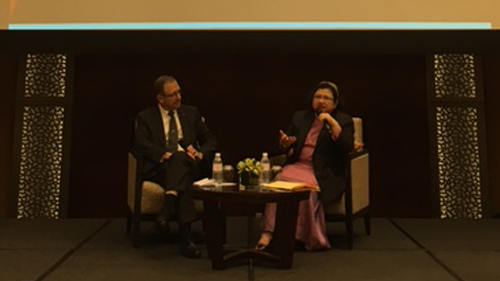 The session included a panel discussion moderated by Mr. Tony Collingridge OBE, Director of the UK Trade and Investment for Malaysia. 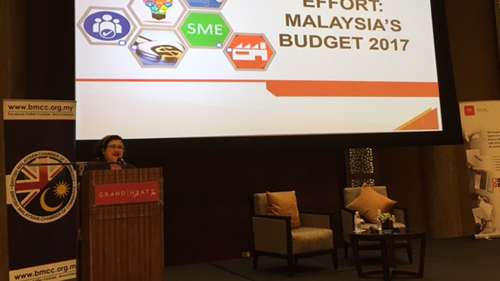 In her presentation, Puan Wan Suraya updated on the various programmes and incentives announced under the Budget 2017, namely relating to SMEs and start-ups, digital economy and e-commerce ecosystem as well as human capital and talent development. 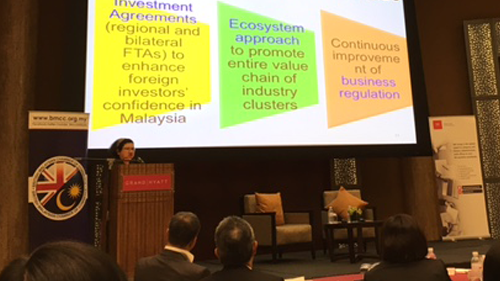 These programmes will go hand in hand with MITI’s ongoing trade and industrialisation strategies, as well as external trade strategies via FTAs at bilateral and regional levels. LAWATAN KERJA TIMBALAN MENTERI PERDAGANGAN ANTARABANGSA DAN INDUSTRI (MITI) KE MIDA YB Datuk Chua Tee Yong, Timbalan Menteri Perdagangan Antarabangsa Dan Industri (MITI) telah mengadakan Lawatan Kerja ke MIDA (Lembaga Pembangunan Pelaburan Malaysia) yang terletak di KL Sentral Kuala Lumpur. MIDA merupakan salah satu agensi di bawah MITI dalam menggalak dan menyelaras pembangunan perindustrian di Malaysia dalam sektor perkilangan & perkhidmatan. Lawatan kerja itu dilakukan pada 9 Ogos 2016 (selasa), jam 9.30 pagi. Lawatan ini merupakan kali pertama semenjak YB Datuk Chua menjawat jawatan Timbalan Menteri (Perdagangan) MITI bertujuan untuk beramah mesra dengan warga MIDA disamping mendengar taklimat berkaitan perkembangan serta bidang tugas MIDA. Sambutan di MIDA diketuai oleh YBhg. Dato' Azman Mahmud, CEO of MIDA bersama para pengarah-pengarah dan kakitangan MIDA. 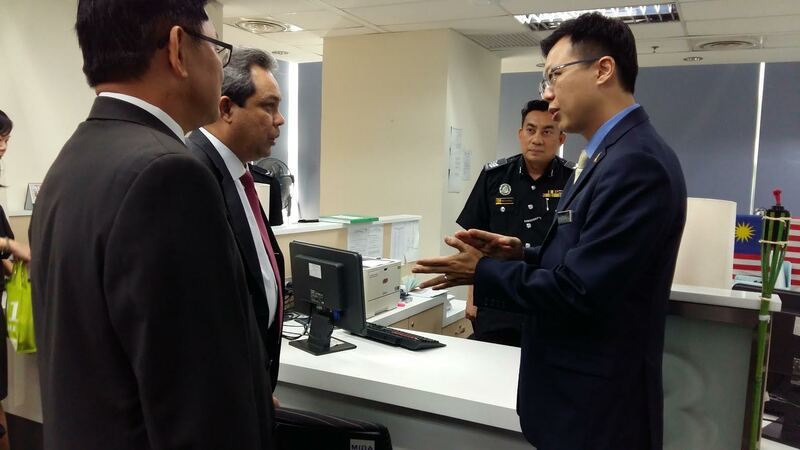 YB Datuk Chua Tee Yong, Deputy Minister of International Trade And Industry (MITI) held a working visit to MIDA (Malaysian Investment Development Authority), one of the agencies under MITI on 9th August 9, 2016 (Tuesday) at 9.30 am, located at KL Sentral Kuala Lumpur. MIDA is a government’s principal agency for the promotion of the manufacturing and services sector in Malaysia. 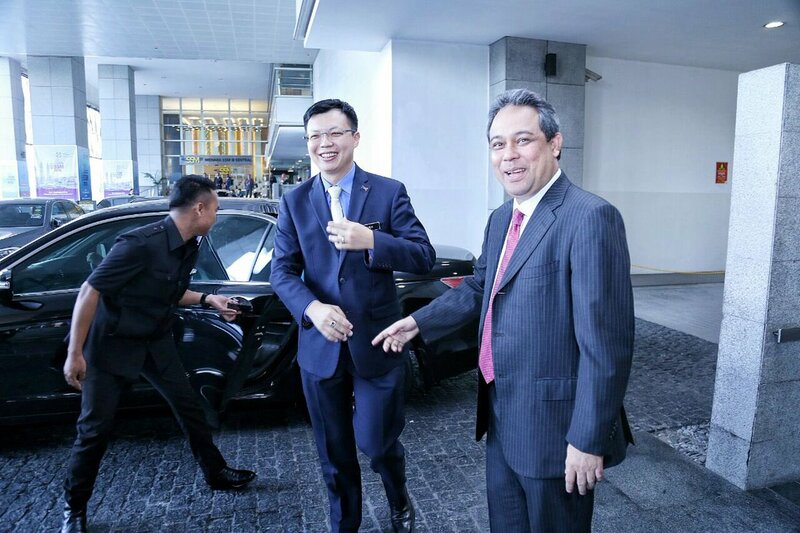 This is a maiden trip for YB Datuk Chua since he came aboard to MITI as Deputy Minister (Trade). He was received by YBhg. 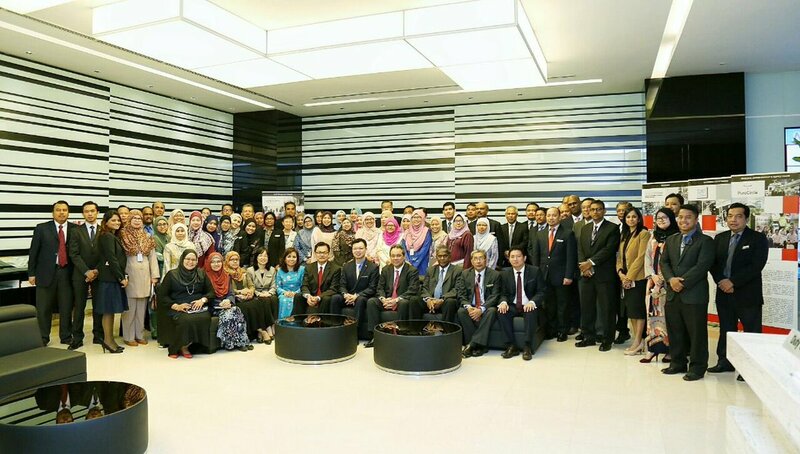 Dato 'Azman Mahmud, CEO of MIDA and senior officials.